Passive fire stopping products have a key role to play in the construction of any building, helping to slow the spread of fire, should the worst happen. There is no better time to fully understand how these various products work and essentially, help to reduce damage and most importantly, save lives. Containment and compartmentalisation principally slow the spread of fire, using walls and floors as divisions. But what happens when internal services such as waste, water and drainage create large cavities to pass plastic, flammable pipes through the building? Fire can have the ability to spread far too quickly if these cavities are not correctly managed and sealed. Pipe wraps and collars reinstate the fire resistance of the wall or floor that has been compromised by a cavity. However, using pipe wraps that are not tested and certified, or choosing installers that do not have the knowledge to undertake such important work presents further risks to the integrity of the building. 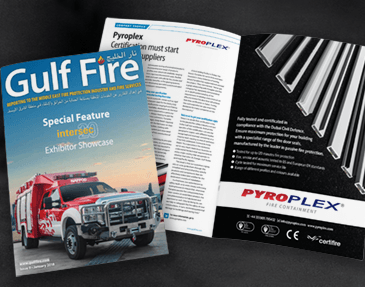 Pyroplex has a well-deserved reputation for developing highly effective fire protection products that are firmly endorsed with industry accreditations and comprehensive testing, resulting in a range of products that are suitable for use across a wide, European market, where variances in specification can often exist. The testing programme that maintains the high level of certification and effectiveness across the Pyroplex range is relentless. For example, a series of fire resistance tests were commissioned to Exova Warrington Fire in June ‘17, specifically on pipe wraps, to look further at the performance of many pipe variables in both floors and walls. Carried out in accordance with EN 1366-3, the results for Pyroplex’s CE Marked 200 Series Pipe Wraps were positive and conclusive. Testing 16 variables that included Polyethylene, Polypropylene, PVC-u, and acoustic composite pipes, all penetrations achieved 120 minutes fire performance. Comments Andy Walsh, Technical Manager for Pyroplex: “Tests such as these are an integral part of our business. Specifiers, contractors and builders need total confidence that the fire protection products they select will deliver the determined level of fire resistance, should a fire break out. 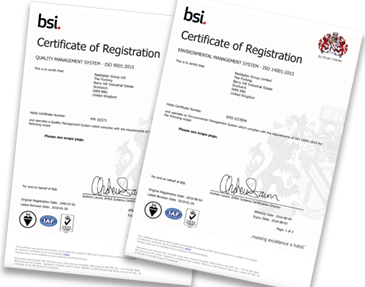 Only by specifying products backed up with industry relevant accreditations and reputable test data, can they be certain of this outcome.